Aloha! The Enchanted Tiki Room is one of Disneyland and Walt Disney World’s Magic Kingdom’s most iconic attractions. This year marks the 54th Anniversary of Disneyland’s version. In fact, the anniversary is this upcoming Friday. 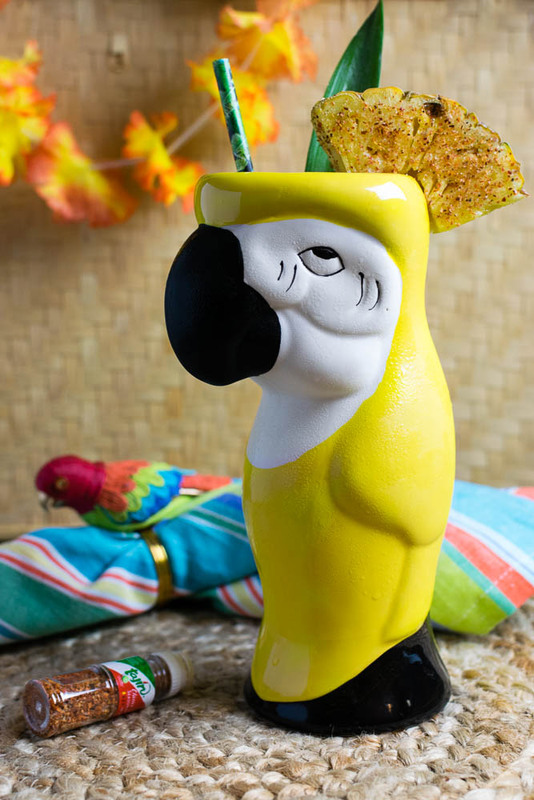 We thought it would be fun to create a series of tiki drinks based on the birds of The Enchanted Tiki Room. 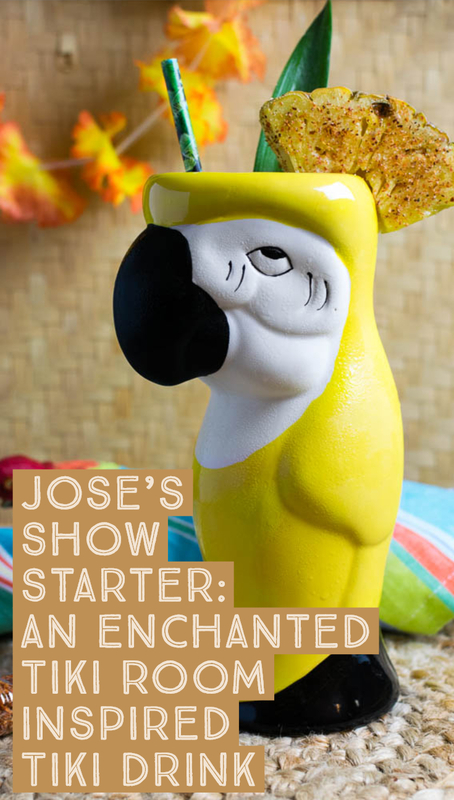 Our first of these tiki drinks is Jose’s Show Starter! Jose is the main Master of Ceremonies in The Enchanted Tiki Room. In fact, he is the one who wakes up the other birds to get the show started. Jose was and still is voiced by Wally Boag. Wally Boag was also known for his starring role in Disneyland’s Golden Horseshoe Revue from 1955 to the mid-1980s. The Jose’s Show Starter pays tribute to Jose’s Mexican roots. We did this by using equal parts mezcal and white rum. Reàl Kiwi Puree provides not only a balance to the pineapple juice but also a green hue reminiscent of Jose’s feathers. The kiwi puree and juices also work to tone down the smokiness of the mezcal. The final ingredient we used in creating this cocktail is Bittermen’s Burlesque Bitters which add some great spice notes. We hope you enjoy Jose’s Show Stopper! Be sure to check back tomorrow for our Tiki Drink inspired by Jose’s Irish Pal Michael! Cheers! Garnish with a pineapple quarter sprinkled with Tajin.